We are still busy with pre-moving things, plus with end of school year activities and Miss P's birthday so I am just now getting around to sharing my May This and That post. 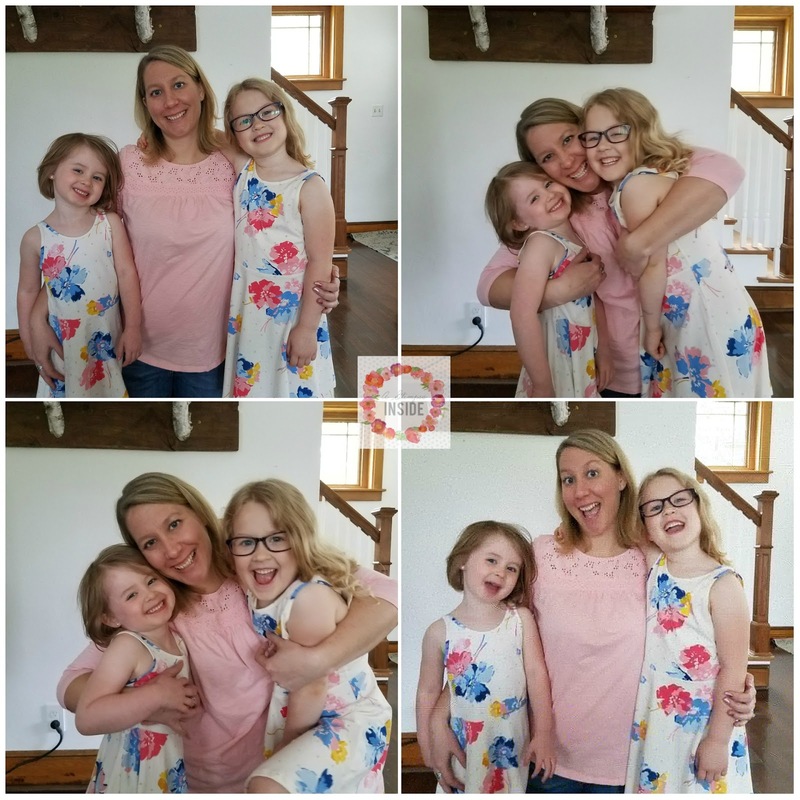 When I first started getting my photos ready for this post, I didn't think we did a lot and that it would have been a short post but that was far from the truth! We did a lot more than I thought and had some good times! I'm just going to start with a picture I snapped of Miss S that was too cute not to share. 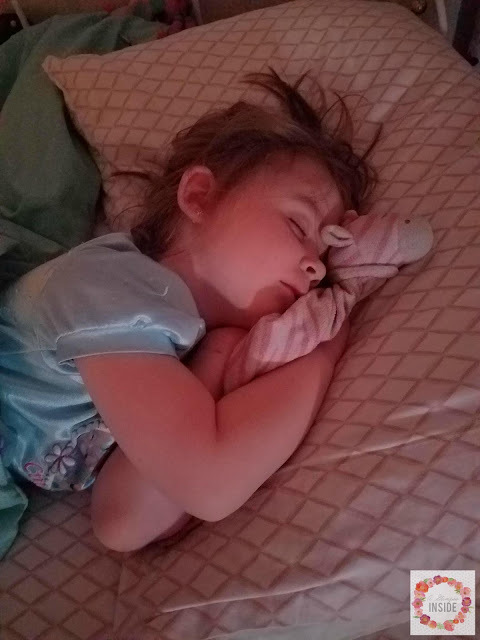 I went to check on her before I went to bed one night at the beginning of the month and found her like this- all snuggled with her blankie and looking sweet as can be. And how about another super cute snuggly, sleeping picture but this time of Poppy?! She was sleeping in her favorite chair in the living room and Miss P's favorite doll was in it and she curled right up next to it. 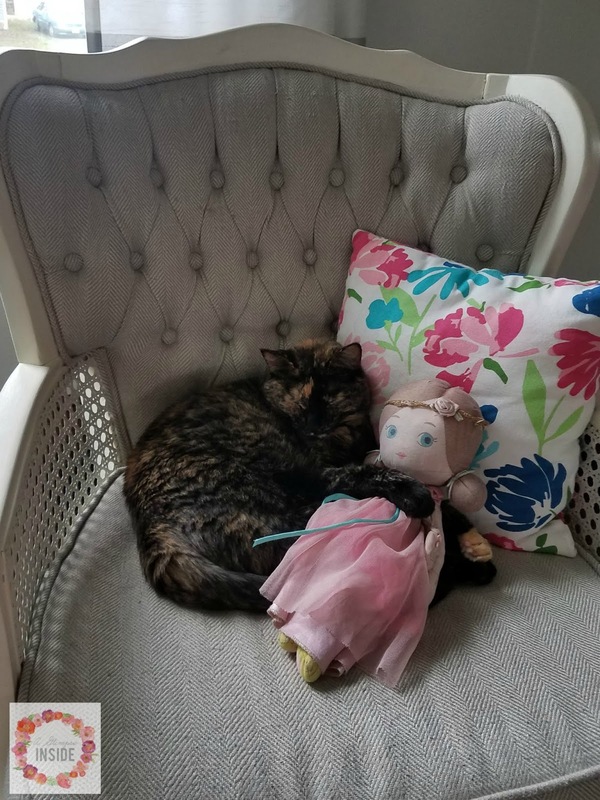 Miss P actually put her paw on top of her doll but she continued to sleep like this for a long time so I had to capture a photo. Miss S had her very first school program at the beginning of the month. 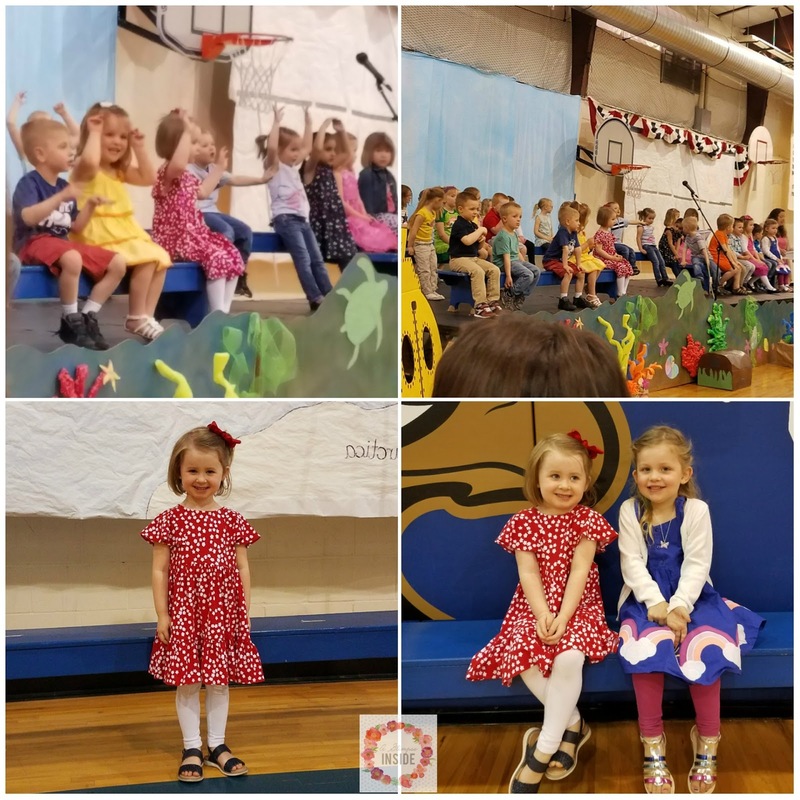 She only went to preschool for 2 days a week but she worked so hard on her songs and did so amazingly well during her performance! I was so proud of her and that she didn't get scared once she had a large audience to sing in from of and she knew all her words and hand gestures. 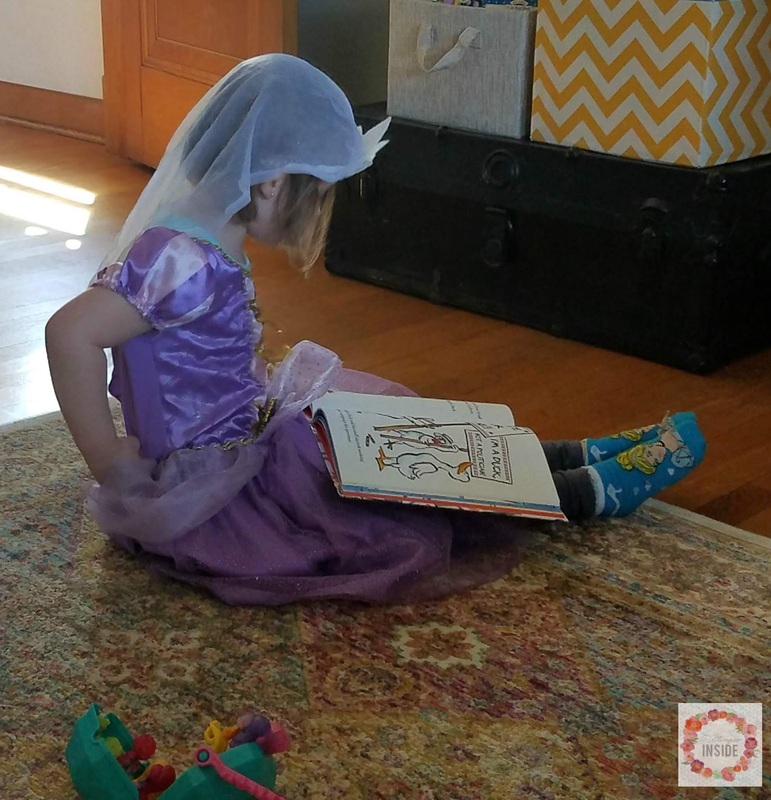 Miss S LOVES to play dress up, LOVES, and one day she was dressed as Rapunzel but was pretending to be a teacher reading me a book. I hope she always uses her creative imagination! When spring time arrives in WI, know that it is also time for lots and lots of bunnies to show up! 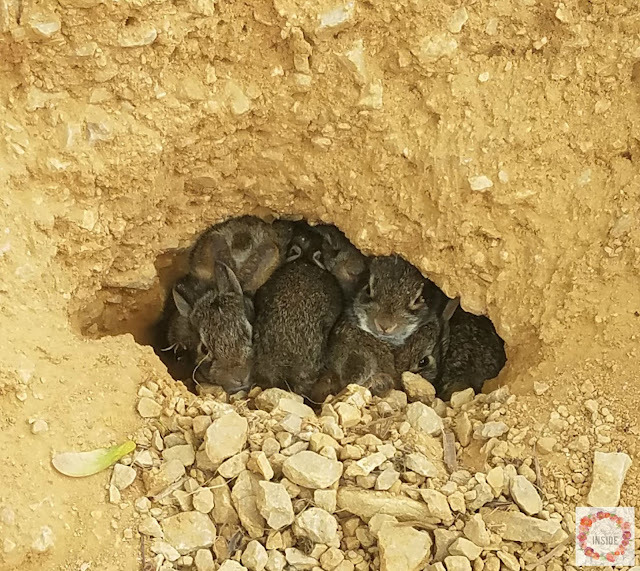 We have had our fair share of bunny burrows in our yard throughout our time here in our house and it is always so fun to see the momma bunny hanging out and then seeing the babies when they start coming out of the burrow. 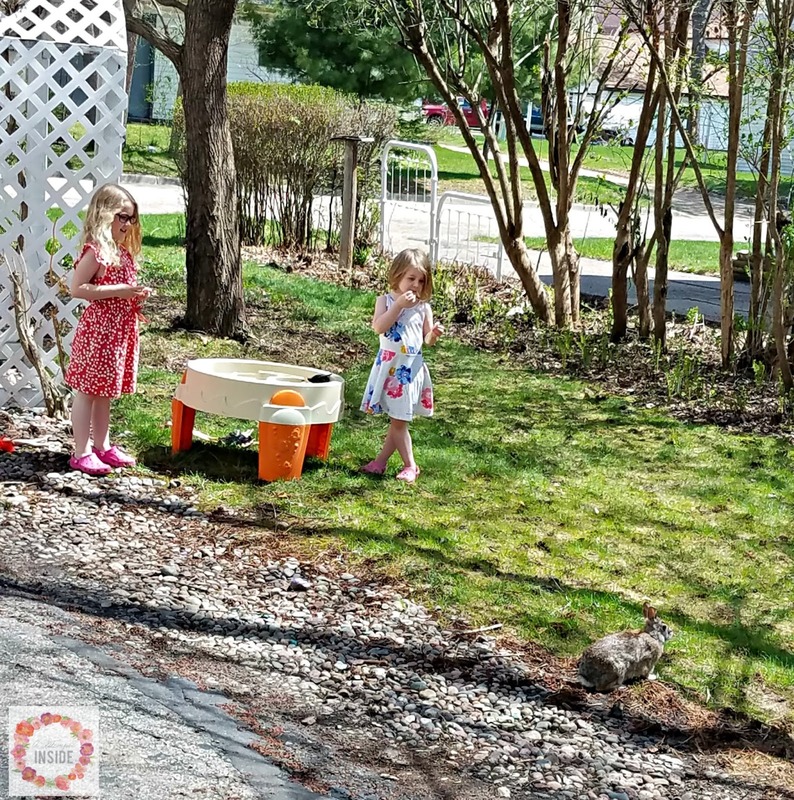 We actually had a burrow at the base of the tree behind the girls in the photo and this momma bunny was totally cool with just hanging out near her babies along with the girls right there playing outside. The girls loved it too! Travis actually caught one of the babies when he found it while cutting the grass and we let the girls hold it for a few. I took photos of it but they must be on Travis's phone. The girls love dandelions, LOVE!! This field near our house recently flooded when we had a lot of rain at the end of April, early May, and from the water line down to the water was a sea of yellow at one point. 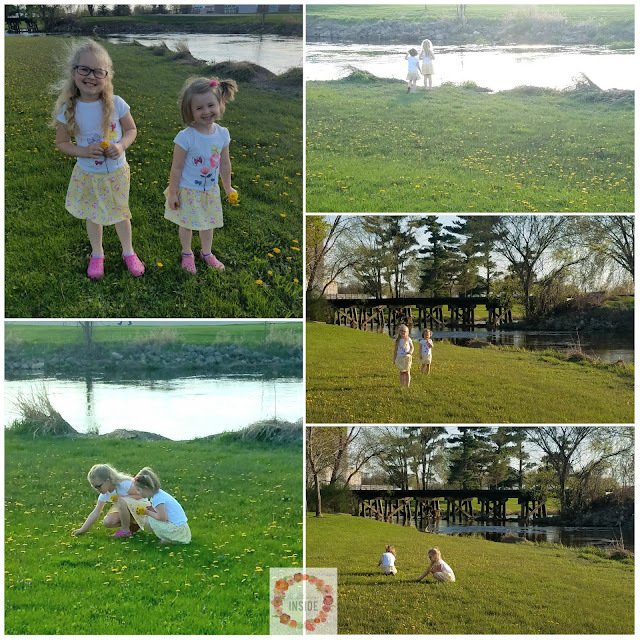 We took the girls down there to let them pick some dandelions and play a little and they were in heaven! I signed the girls up for a 4 week mini gymnastics glass in May and as usual, they really enjoyed it. I think this was the best class they've taken yet. They really worked hard and learned new techniques this time. 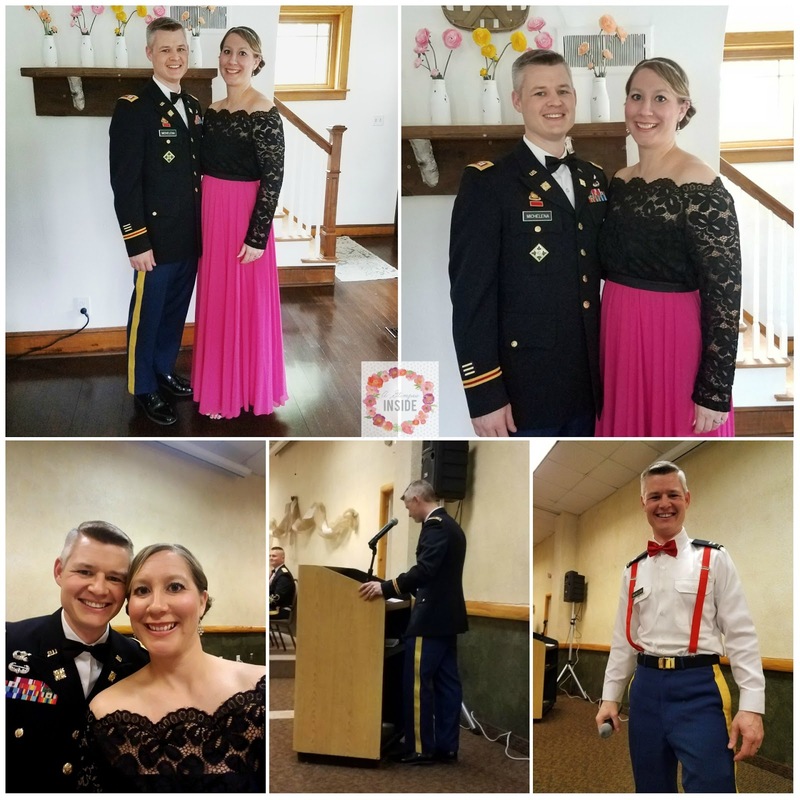 Mid May, Travis's brigade at a military ball. Travis was the MC for the ball so we got to get all dressed and have a nice evening out. 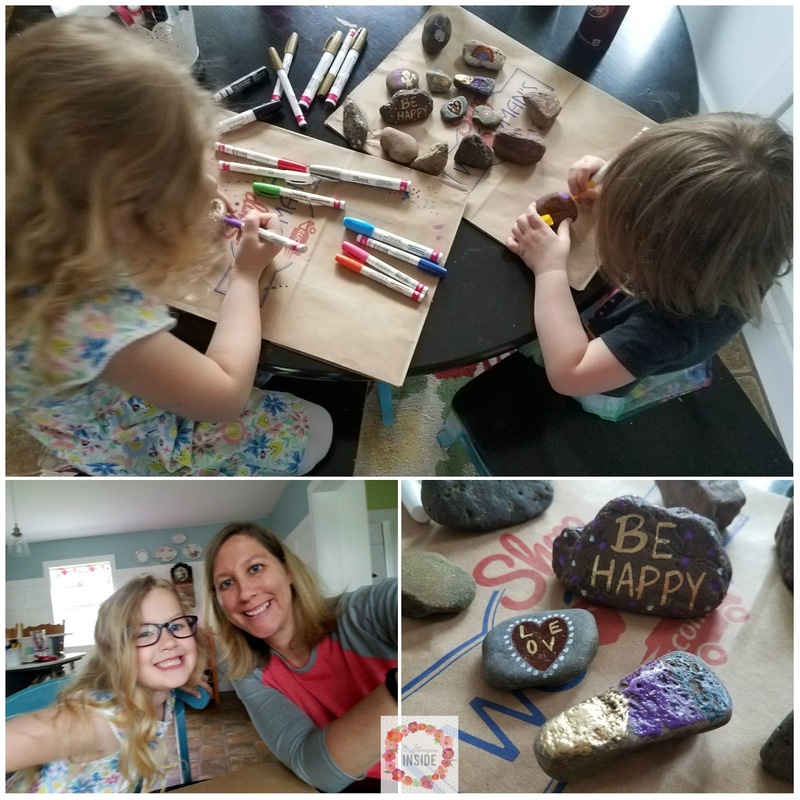 The day before Mother's day the girls and I painted rocks for a fun little activity. We were going to go hiking on Mother's day so thought they would be fun to take and hide along the trail while we hiked. BUT... Miss S had other plans for Mother's Day. She woke not feeling well with a cough and running a fever so our hiking plans got put on the back burner. We did have a nice day at home even though she wasn't feeling very well. Our town did a little Wine Walk where you would go into the shops downtown and each store was passing out little wine tasters. 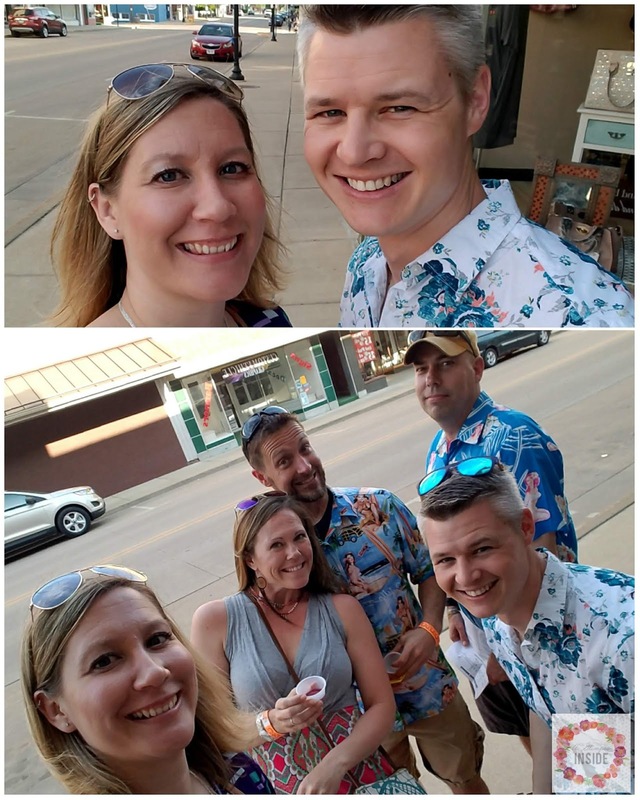 We had a little date evening out with some friends and it was a lot of fun! 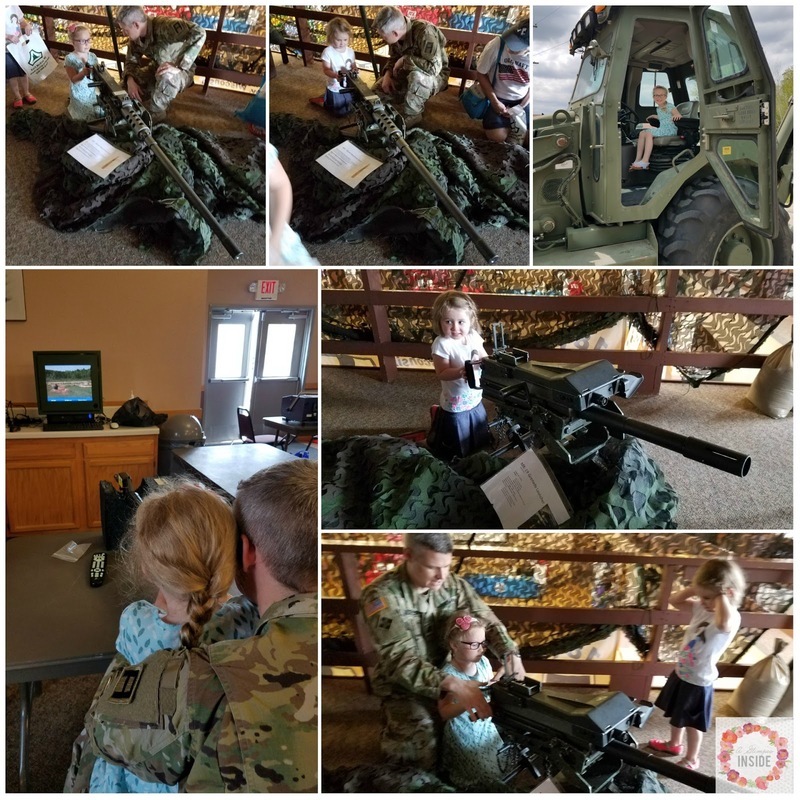 Fort McCoy had a family day towards the end of the month where they had lots of activities for families to come out and do and cool things to see. Travis actually had to work the event so we stopped by for a little while to play and see everything that was on display. Have you ever seen a bunny burrow?! Well, here you go! We were on a walk on day and saw all these baby bunny in a large dirt/rock pile in one of our friend's yard. We were amazed at how many were in there and it actually looked like there might have been another one at one point in the pile. 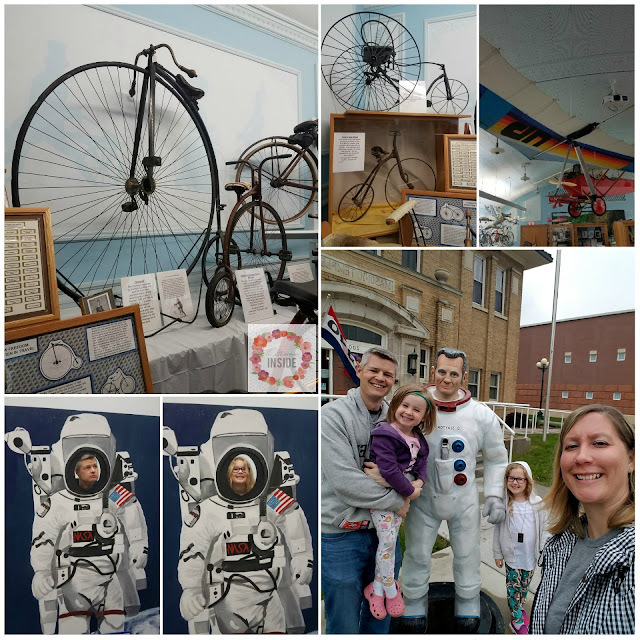 There is a museum in our town and it has been on our bucket list to visit for quite some time. The downstairs is all about the history of our town and our county while upstairs is a bicycle museum and a museum for Astronaut, Deke Slayton who was actually from Sparta. We finally make it over there for a visit one evening when we had a showing on our house and we needed to go somewhere. It was a fun little adventure. Miss P's school did a cancer walk toward the end of the month and Miss S and I went to walk with them at the football field. 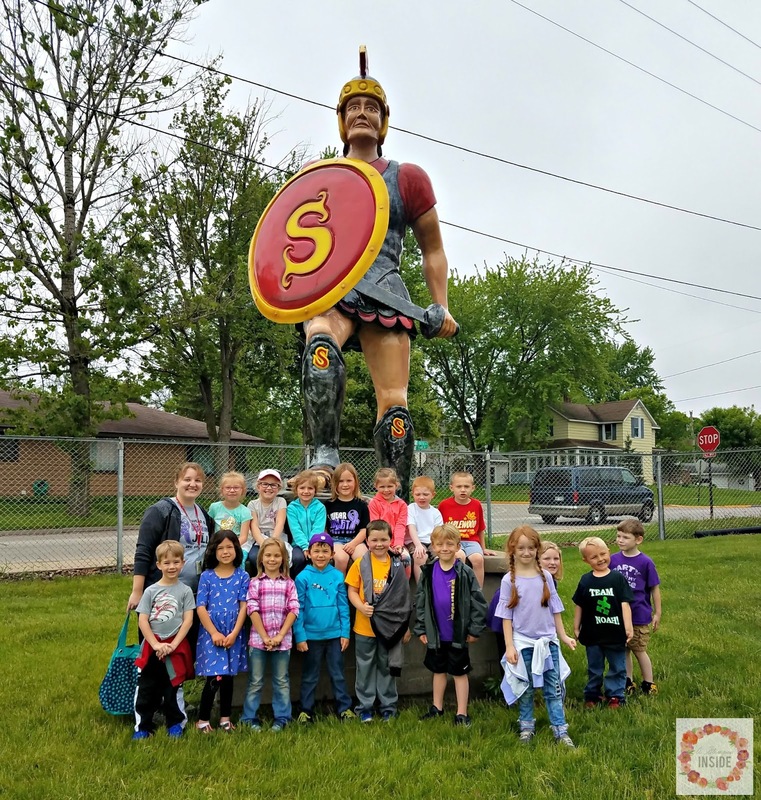 Here's a shot of Miss P with all of her classmates and teacher. 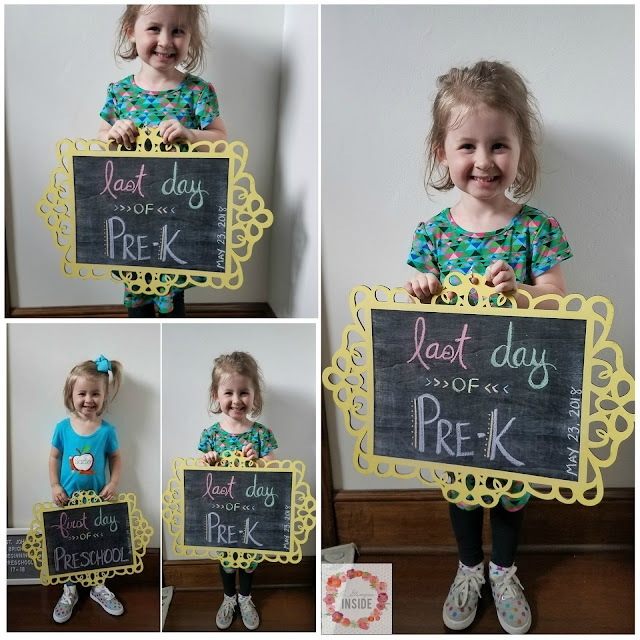 Miss S had her last day of school on the 23rd. She definitely loved school and learned and grew so much over the year. Miss P turned 6, SIX people, on the 24th. We had a super busy day that day so we all surprised her at school with Taco Bell for lunch then we opened presents and had cake right after school before we had to go back to her school for an event before heading to S's school for an event. After S's event, she picked where she wanted dinner and we had some friends come eat with us and then made a stop at the park. 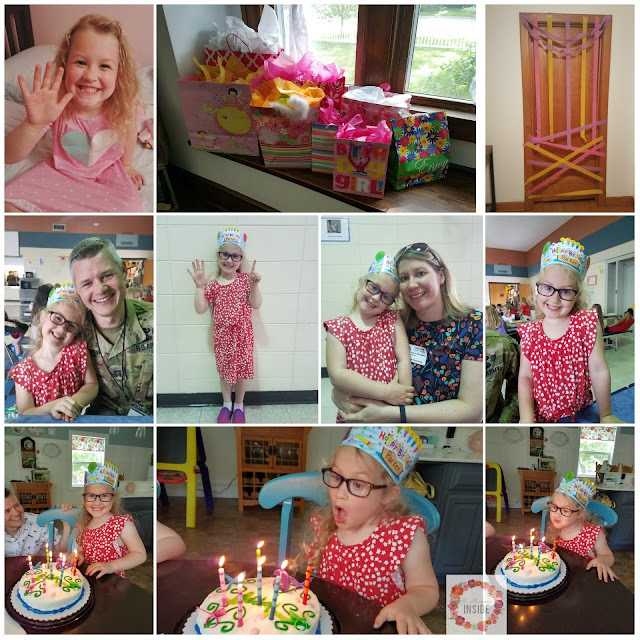 She had a great birthday and I still can't believe she is 6! 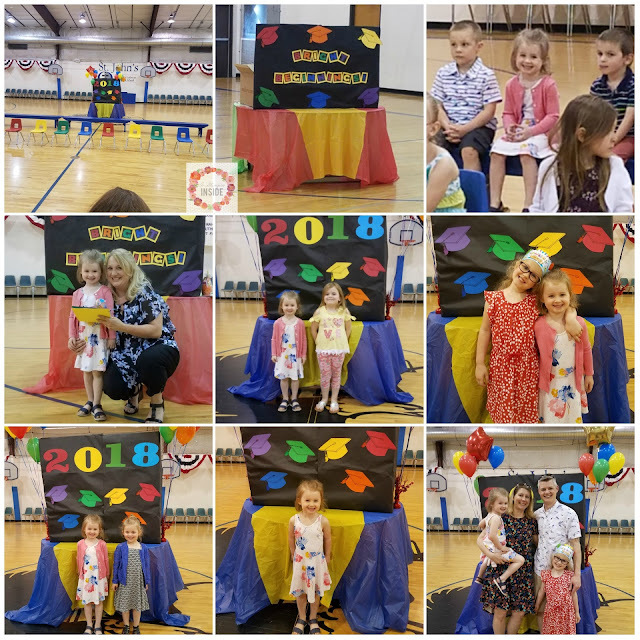 After going to P's school event we quickly headed to Miss S's school for her end of the year program. It was graduation for the kids going to kindergarten but she still received a fun little memory book and she got to say goodbye to all her friends. Our kitties, like each other but I can't say they love each other. 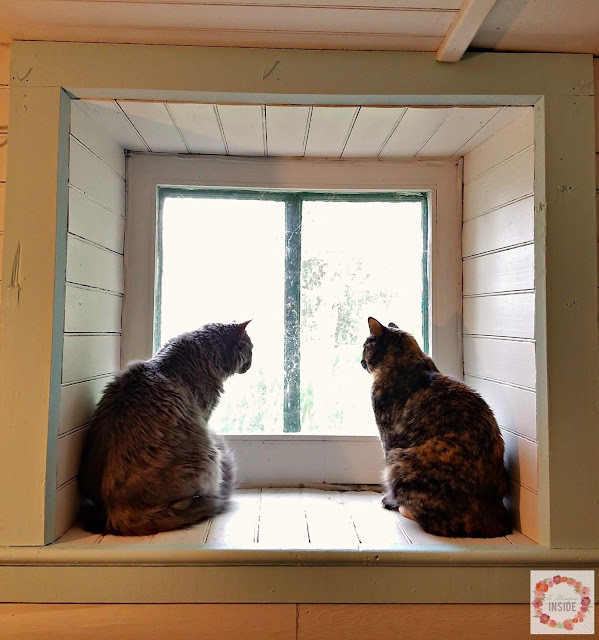 They'll play, they tend to take turns when eating even though they each have their own bowls, they don't sleep together so when I found them together in the basement window watching all the birds and squirrels in the yard together, I HAD to take a picture of them! Memorial Day, Travis had to give a speech at an event in another town so we all tagged along. 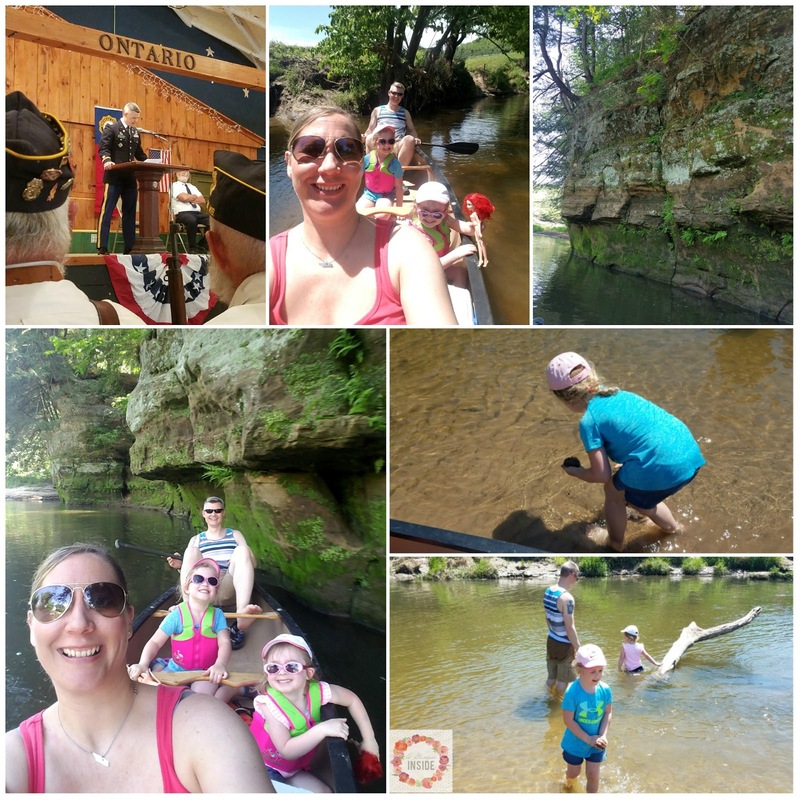 After the event we decided to have a family adventure canoeing. 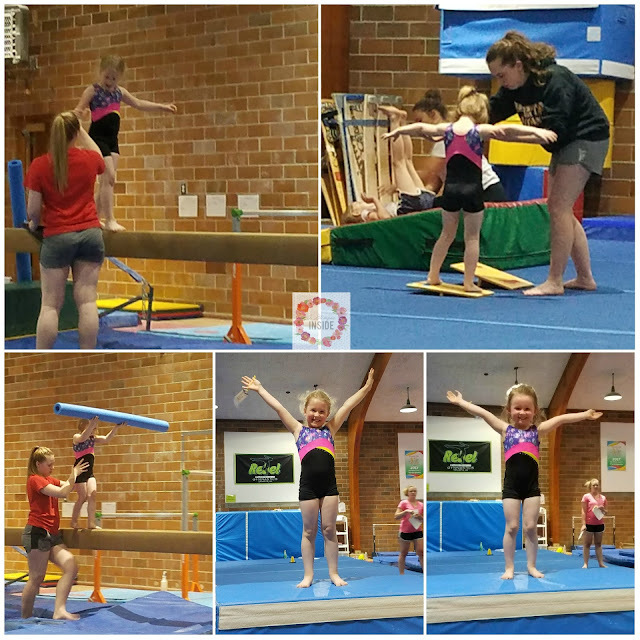 The girls loved it and we all had a great time! 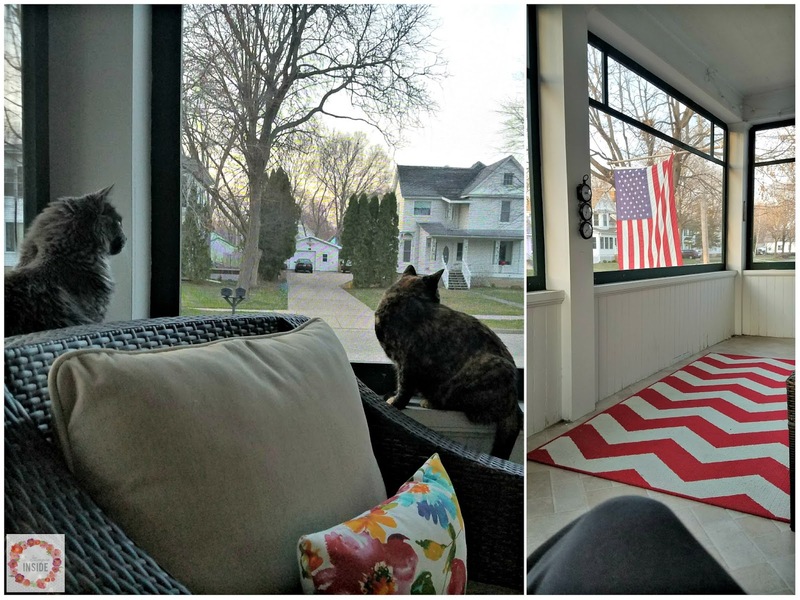 Since we are moving, we have been trying to take full advantage of our screened in porch while we still have it. We have all been enjoying it to its fullest and we are all going to miss it so very much!! I think that's it for now! I'm sure I am forgetting something but the days are running together at this point since school is out and we are prepping for our move. Stay tuned for our June adventures next month!